How Can You Prevent or Stop Student Loan Default Wage Garnishments? Can student loans garnish your wages? 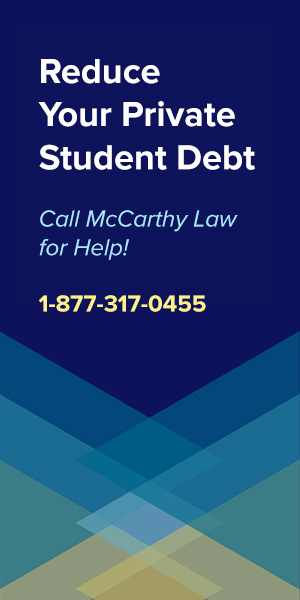 What is a student loan wage garnishment? 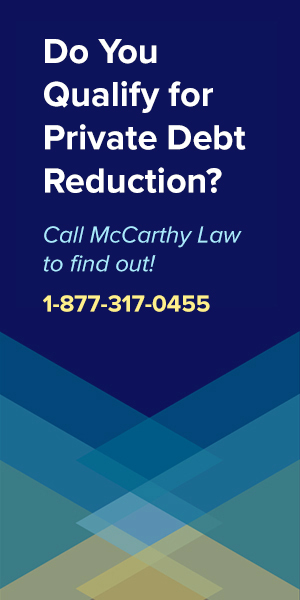 How can you prevent a garnishment or stop a garnishment that’s already been put into place? This Guide will answer all of those questions in detail, so pay careful attention and you’ll be back on the path to becoming debt free! 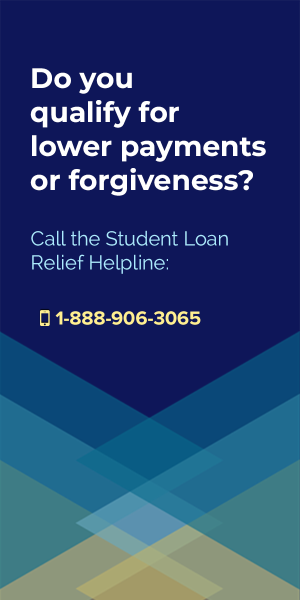 Student loan garnishments happen when the lender or debt servicer you owe money to starts subtracting a percentage of what you owe them directly from your paychecks, rather than waiting for you to send them a payment. It’s an automatic process that happens with or without your approval, and which can only be put in place via a court order. Wage garnishments are referred to as a form of involuntary student loan payments, and officially called “Administrative Wage Garnishments” when talked about in legal contexts, so if you come across that phrasing, just realize that it means the same thing. Typically, garnishments are only put in place after you have already defaulted on your student loan debt and refused to work out some kind of payment plan with your debt servicer or the collections agency who purchases your debt, so unless you’re having trouble paying back your loans, you’re unlikely to ever experience a garnishment. This Guide covers everything you need to know about student loan wage garnishments, including all of the rules surrounding them, as well as how to prevent them, or get rid of them after one has been put in place against you. To make it as easy as possible for you to find the specific content you want, below is a list of all the topic areas I’m going to cover in this Guide. Feel free to click the links to whatever sub-topic you want to learn about. What Causes Wages to Get Garnished Over Student Loan Debt? 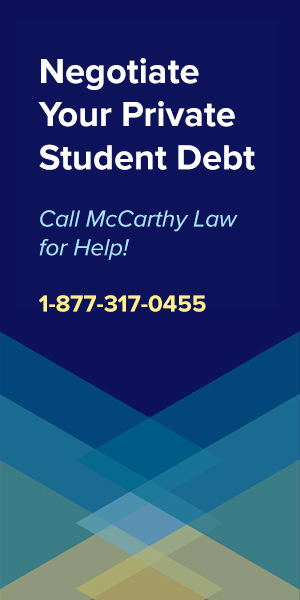 How to Know if You’re Facing the Threat of a Student Loan Wage Garnishment? What Are Your Rights Regarding Student Loan Wage Garnishments? How Much Money Can Wage Garnishments Take? What are Student Loan Wage Garnishment Hearings? What Reasons Can You Use to Request a Wage Garnishment Hearing? Where Can You Go For Other Student Loan Questions? One quirk to student loan wage garnishments is that this is one of the only times that it’s worse to have Federal loans than Private loans, because Federal Student Loan Servicing Companies can start garnishing your wages much more easily than Private Student Loan Debt Collection Agencies. Why? Because Federal student loan wage garnishments don’t require a legal judgment against the borrower, as they’re a simple administrative matter that can be initiated with a bit of paperwork. 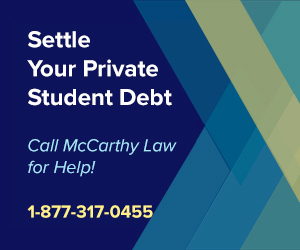 In contrast, when it comes to private student loan wage garnishments, they can only be initiated if the debt collection agency successfully sues you in court, wins the case against you, and is receives a court order that says they can begin garnishing your wages. What this means is that it’s much harder for the servicing companies to get a wage garnishment against you if you’ve got private debt. What Causes Wages to Get Garnished? Wage garnishments are the inevitable result of Student Loan Delinquencies & Defaults, and do eventually get put in place on both Federal and Private loans when the borrower who defaulted refuses to make things right. The way they work is that the company you owe the money to starts taking what you should be paying them (but are refusing to do) directly from your paychecks, before you receive any funds yourself. And what this means is that you end up making far less money and having far less control over your financial life, since you no longer get to decide how much money you want to allocate toward student debt each month. Federal student loans go into Delinquency as soon as you miss a payment, but they don’t enter Default until you’ve missed a payment for 270 days. Private student loans never go into Delinquency, but instead enter Default as soon as you miss a single payment. What you should keep in mind is that your best option is to avoid a student loan wage garnishment before it’s initiated by refusing to allow your loans to default, or by utilizing the Student Loan Rehabilitation Program as soon as you find out that your loan has defaulted. The key concept to keep in mind here is that it’s much easier to prevent a wage garnishment than it is to get rid of one after it’s already been initiated. How Will You Know If You’re Facing the Threat of Wage Garnishment? One nice thing about wage garnishments is that they don’t just appear out of thin air, so you can see them coming, and prepare for them before they’ve been put in place. In fact, student loan servicers and debt collectors are required by law to notify you at least 30 days in advance before any wages begin getting garnished, via a legal letter called a “Notice of Intent to Garnish”, and this is the point in time where you definitely want to take action to stop student loan garnishments from going into place. My advice for anyone who’s found their way to my site after receiving the Notice of Intent to Garnish is to immediately start looking into your options for getting into the Student Loan Rehabilitation Program, or working on a Consolidation or Loan Modification that gets your loan back out of default status, allowing you to avoid the garnishment going into place. What Are Your Rights Regarding Wage Garnishments? The Notice of Intent to Garnish should also state the reasons that you can request a hearing, and you’ll need to have a legitimate claim in order to get that request approved. If this information is not included in the Notice of Intent to Garnish letter, then you have a right to ask for a hearing, and you definitely should. Also, I mentioned this above, but for those of you who missed it, the garnishment must not be put in place any faster than 30 days from the date that the Notice of Intent to Garnish was delivered to you. Finally, you also have the right not to be fired, be refused employment, or to face disciplinary measures over a student loan wage garnishment, so if your debt collector of even the company that you work for starts making threats about losing your job because of the garnishment, you should make it clear to them that you know that’s completely illegal. How Much Money Can a Wage Garnishment Take? Wage garnishments are set differently for Federal and Private loans, and Private loans can basically be set at whatever the court or Judge who issues the judgment against you agrees to, so there’s not much oversight in that realm. But when it comes to Federal garnishments, officially called Administrative Wage Garnishments, they’re limited to 15% of your disposable income. Fortunately, disposable income is the money you have left after paying for taxes and other mandatory charges, or what most people would refer to as your “take home pay”. The laws on Federal Student Loan Wage Garnishments state that the government’s servicing agency or debt collector can’t leave you with less than 30 times the Federal Minimum Hourly Wage per week, so for low income earners, they may qualify for wage garnishments substantially lower than 15% of their discretionary income. The math turns out to being about $7.25 x 30 = $217.50, which means that the wage garnishment slapped on your earnings can’t leave you with less than $217.50 in income per week. What this means is that minimum wage earners working less than full-time are highly unlikely to face a student loan wage garnishment on their Federal loans, even if they are in default and refusing to pay up. If you’re worried that your wages are being garnished at a level that’s too high, check out this handy Student Loan Wage Garnishment Calculator to make sure that you’re not losing more than you should be in each check. And if you do find out that someone is garnishing too much money from your checks, be sure to contact your loan servicer to request a hearing. It’s important to remember that co-signers, including parents who are co-signers on a student loan are also subject to wage garnishments, so if you’re opting to Default on a Student Loan where you do have a co-singer, just be aware that you’re not the only one who the debt servicer or collection agency can come after. 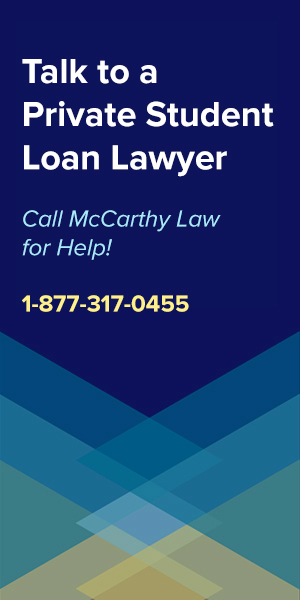 How to Avoid a Student Loan Wage Garnishment? As soon as you become aware that you’ve got a garnishment on the way, the first thing you should do is contact whoever is trying to put that in place to ask them if you can instead set up a payment plan and prevent it from happening at all. This is when negotiations will begin, and your servicer will probably ask you for some kind of lump sum payments to show “good faith” (prove that you’re serious about getting back into proper repayment with them), but they’re also going to want you to sign a new contract that says exactly how much you’ll pay them each month. At this point, your options are probably going to be doing some form of Student Loan Consolidation, which will almost certainly include enrolling in one of the Income-Based Student Loan Repayment Plans, or pursuing a Student Loan Rehabilitation to officially Get Your Loan Out of Delinquency or Default and back into repayment status. Make your payments on time. This goes without saying. Either sign up for automatic payments (the best bet) or use something like Google Calendar to keep track of due dates, and make sure that your monthly payments are always provided in time. As long as you don’t miss any payments, nobody can garnish your wages. Deferment or Forbearance. Talk to your loan servicer about these options. Keep in mind though that a forbearance will add the accrued interest to your principal. 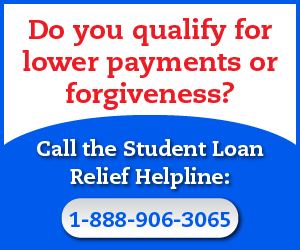 How Can You Stop a Student Loan Wage Garnishment? Now, if all that fails, and you do find out that you’ve got a garnishment on the way, don’t give up yet, because there’s still hope to stop it from going into effect. Just before the wage garnishment has been put in place, you can attempt to prevent it by requesting a Wage Garnishment Hearing, which I’ll explain in detail below. Remember, you will definitely want to take care of this before the garnishment starts, because once it’s in place it becomes extremely difficult to get rid of, and it’s going to cost you much more time and money to deal with than if you’d prevented it in the first place. The most important thing to do is not to wait. As soon as you receive notice that your wages are about to be garnished, make sure that you immediately contact your loan servicer to try and work out a deal that prevents it from happening. Showing them that you’re genuinely interested in paying back the money will make your life much easier. 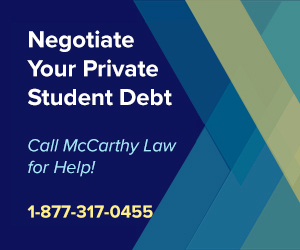 Student Loan Wage Garnishment Hearings allow you to put your impending wage garnishment on hold if you request a hearing within 15 or 30 days of having received the Notice of Intent to Garnish (depending on the type of Federal Student Loan you’ve defaulted on). Check your Notice of Intent for details, because whoever is attempting to garnish your wages is legally required to list the number of days you have to request a hearing within the copy of that letter. What’s the purpose of a wage garnishment hearing? They let you fight the garnishment and attempt to get it removed before anyone is able to start taking money out of your paychecks. How are wage garnishment hearings conducted? Most of them happen over the phone, rather than in a court of law, because they go pretty quickly, and are relatively straight-forward legal processes. If you would prefer to have an in-person hearing, they are available for Defaulted Federal Loans, but only in San Francisco, Chicago or Atlanta, and all your travel expenses and other costs will have to be paid for by you, even if you win the hearing. Even if you think you’re going to lose the hearing though, it can be an effective way to slightly delay the initiation of wage garnishments, since it can take up to 60 days after your hearing to find out whether or not your request to rescind the garnishment has been approved. You’re experiencing financial hardship. You’ll need to provide plenty of proof in order to get a hearing on these grounds, but if you can do that, and if you win at the eventual hearing, then your wage garnishments are likely to be lowered or even cancelled altogether. However, the issue will probably be revisited every 6 months or so to see if your financial circumstances have changed, so don’t think of a student loan garnishment hardship as being a magic solution to your default. You’ve recently filed for bankruptcy. Again, you’ll need to provide proof that you’ve filed for bankruptcy, and you’ll have to provide all the details explaining your bankruptcy, but this is a good way to prevent a garnishment from going into place (at least temporarily), as most courts won’t allow lenders to start garnishing wages until after your bankruptcy case has been settled. You were fired from your last job. If you’ve been at your current job for less than a year, and you can prove that your last job fired you, then you can request a wage garnishment hearing at which you’ll explain that you have only fallen behind on your student loan payments because of this change in circumstances (if you’re making more money than you were previously, then this won’t work…). You’re already enrolled in a repayment plan. 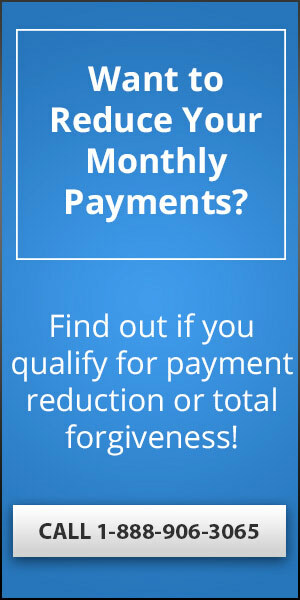 Obviously, if you’re already enrolled in a repayment plan, and you’re following the plan by making regular monthly payments, then there isn’t any need for the lender to extract an involuntary payment from you. Sometimes there can be a mix-up, or a lender or servicing company will get greedy and try to sneak a few of these through, but if you’ve been keeping up with your payments then you definitely shouldn’t be hit with a wage garnishment, and you’ll absolutely want to request a hearing to get rid of the wage garnishment before it goes into place. You no longer owe the money. Perhaps you’ve already paid off the student loan already, and it’s only by accident that you’ve been alerted that a wage garnishment is coming. Alternatively, maybe you’re eligible for Federal Student Loan Forgiveness, or for a Discharge, like via the Borrower’s Defense to Repayment Program, or the Closed School Loan Discharge Program, and you’re fighting against paying the loan because you’ve already qualified for those benefits, but your servicer is dragging their feet or preventing you in some way from getting the discharge that you deserve. To request a wage garnishment hearing, you have to apply for it officially by contacting your loan servicer and asking for one in writing. This is a little unintuitive, because it’s your loan servicer or collection agency who’s trying to get the wage garnishment against you, but if you want to prevent it from going into effect, you’ll have to tell them that you want a hearing to review it’s legality as soon as you’re informed that they’re attempting to put it into place. If you don’t know who services your loans, the easiest way to sort that out is to look at who you’re sending your monthly payments to. Whoever processes those payments is your loan servicer. For Federal student loan debt, you can use the Federal Student Aid Website to find out who services your debt. For Private student loan debt, you’ll need to pay attention to wherever those checks are being sent, because they’re the people servicing your loans. If you need to contact your collection agency for any reason, then you’ll want to refer to the table below to find their contact information. And before you start looking through the table, please note that this only includes the Federal Student Loan Collection Agencies, or the agencies that the Department of Education has official contracts with. If you’ve got private student loans that are being collected against, then you may have a collection agency who isn’t listed here, and you’ll need to look elsewhere for assistance. Here’s the list of all the official student loan collection agencies approved to collect on defaulted Federal student loan debt. If you’ve got a Federal loan, and some other agency is telling you that you need to send them money, I would highly advise that you refuse, and instead perform some research to find out if they’re a new collection agency who was recently approved by the Department of Education. If you can’t find any official reference that says these guys are legitimate, then be careful about sending them any information or money, because there’s a pretty good chance they could be some kind of Student Loan Scammer who you will want to avoid entirely. 1-877-244-7901 Immediate Credit Recovery Inc.
1-866-256-0057 Pioneer Credit Recovery, Inc. Remember, there are all sorts of scammers out there trying to take advantage of people like you who are experiencing student loan debt problems, and who aren’t entirely sure what you need to do about them. Most of the time, these groups are going to tell you that they’re experts, or they’re the best at debt resolution or debt negotiations, and that if you pay them for their assistance, they’ll be able to get you a better deal than you could yourself. This may or may not be true, because it depends entirely on the how good they are at what they do, and the quality of these types of organizations varies WILDLY. Some of them are great, while others won’t actually do anything other than collecting money from you and making excuses for why they haven’t fixed your default yet. If you do decide to pay someone for help, please listen to me when I say that the only company you should trust is the Student Loan Relief Helpline or McCarthy Law, as they’re the only experts who I trust to actually help my readers! For any questions that I didn’t answer in the post above, please feel free to leave them in the comments section below and I’ll try to get you a response within 24 hours. Alternatively, if you need an answer right now, then be sure to check out some of the other pages of my site where I go through other student loan topics in detail, including offering very specific advice for all sorts of different situations for both Federal and Private student loans. To get Help with Federal Student Loan Debt look at my pages on Federal Loan Forgiveness, the Borrower’s Defense To Repayment Discharge Program, the Closed School Loan Discharge Program, Federal Student Loan Bankruptcy Discharges, Federal Student Loan Consolidation Programs, and Federal Student Loan Delinquency Help, and Federal Student Loan Default Rehabilitation. For those of you who need Help with Private Student Loan Debt, you’ll want to head to the pages on my site covering Private Student Loan Forgiveness Programs, Private Student Loan Consolidation Options, Private Student Loan Bankruptcy Discharges and Private Student Loan Default Help. You should be able to find all sorts of help from the pages linked above, but if you still need assistance, please post your questions in the comments section below. Please do not email me or attempt to contact me on Facebook, because I won’t respond there, but I do read my comments and am happy to provide advice via the comments, so don’t be afraid to ask for help! I am a victim of fraud and student loans were taken out in my name. I have been fighting this since 2010 with no luck. I did all i was supposed to do, file police report, file ftc complaint, dispute credit bureaus, put alert on my reports, and fought with the school. 2009 taxes were offset and I never got it back. they tried offsetting my taxes again in 2012 and i fought us department of education and my taxes were finally returned to me a few months later. now this year, 2019, my taxes were kept again. US Department of Education told me only way to get these student loans removed from my name is to get a conviction of person who stole my identity and took the loans out. I DONT KNOW WHO STOLE MY IDENTITY!!!! if I did they would be in jail already. But I dont know who stole my information. I just found out today that this school, AIU, was sued by a class action lawsuit for opening fraudulent loans and many other things. i am at my wits end as i dont know what else to do. this has truly ruined my life, chances of purchasing a home for my family, denials on credit cards and cars, and them keeping my income tax returns that my family relies on. The US Department of Education has kept close to $12,000 of my income tax returns for something that is not mine. Everyone who has given me numbers to call for this situation results in a dead end and back to the US Department of Education who refuses to help me. Granddaughter has 30,000. in gov. student loans which she ignored for the last year or so.,,,her fault entirely. Gov. sent loans to collection agency that wants more per month than she can afford to pay. If that amount stands she’ll have to quit her job, give up her apt. and move in with family in another state. How does one reason with these vultures who make unreasonable demands? Is there an agency that will help her to deal with this or one that will take over the loans and assess realistic payments? It’s tough to fix things if the loan has already gone into default and been sold to a collection agency, but have a look at my Guides to Federal Student Loan Default and the Federal Student Loan Rehabilitation Program. 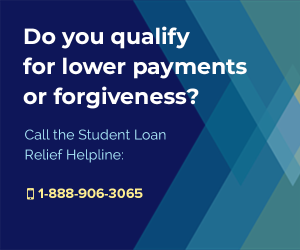 You MIGHT still have a chance at getting the loans back into repayment status and back on track. That’s going to be the best option here. Tim, the situation Shely has going is similar to my husband’s.and your advice is very helpful. You mentioned she contact the collection agency. How can we find out what agency is doing the actual garnishment so we can try to negotiate? We cannot locate a letter that notified him of the impending garnishment, Thank you. That’s crazy that they’re garnishing without even notifying you guys. Did you change addresses or something? There’s got to be a way to sort out who is taking the funds. I think that Employers have to be contacted before garnishments an go into place, so I’d start by asking his employer. I think I may need to hire someone. I thought all my loans were with Navient. I’ve been working on my credit so I check it every month. Last week I get a call from my employer telling me I am to be garnished next paycheck… I said “from whom?” The Dept of Ed… I asked her if I could see who exactly is garnishing me because I am not aware of any other loans… I consolidated years ago. So she received the garnish letter and informed me 3/15. I started with all the correct steps all the way to the ombudsman… and everyone was telling me fed loans was my servicer. Turns out that was incorrect. It was the Dept of education debt collection who passed of to coast professional who told me that only the servicer could suspend or hold the garnishment till my hearing. We filled out the IBR consolidation, and are now about to fill out a hearing so we can go threw with the consolidation. I have been reported in the past up to 8 times for the same loan with different collectors in the past… that’s when I paid someone to help me sort it all out and consolidate. All was running smoothly until last Thursday and I just today received my alert that my credit score had dropped 100 points this month. Turns out the collection agency reported 3/3 sent the garnishment letter and I was given no chance to resolve on my own. My employer is working with me… the Dept of Ed debt reconciliation placed a complaint against the collection agency… but no one will suspend the garnishment. And now how am I going to repair my credit… had I known I had these other loans which look consolidated I would have been able to make sure they weren’t with navient as well as if I owed them consolidate. Now am I really left with just no recourse or any words of wisdom for writing for my hearing? This is one of the biggest problems with student loan debt – people literally can’t even figure out who they’re supposed to be paying, because the paper trail gets so convoluted. I think that the servicing companies and then debt collectors do this on purpose to make it as hard as possible to deal with the debt. You’re lucky that your employer is attempting to help because that at least reduces some of the stress, but still – what a pain. Honestly I don’t really have any advice on what you’ll be able to do here because you’re pretty much beyond my realm of expertise at this point and into the realm of legal/financial advice, rather than student loan planning, but I would definitely suggest trying to bring as much EVIDENCE as you can to that hearing, or hiring an attorney to handle that part of the process for you! Hi, Tim. My situation is a little bit different, and I’m not sure what to do. I got a notice of garnishment a year ago but received a discharge for total and permanent disability, which wiped out my loans. At that point, I had gotten one month of my SSI garnished, which was refunded by the collection agency. This month I was surprised to see that my SSI deposit was short $200, and was total by the Social Security office that it was garnished by the Department of Education. I called the collection agency that the automated system told me had my loan. The person I talked to said that she saw in their system that they gave me the refund last year and that the loan was discharged. When I asked her how they could be garnishing a loan that was discharged she told me she didn’t know. I didn’t get any notification of this garnishment. I can’t get through to the Department of Education, but I’m not even sure if that’s who I need to talk to. I thought the point of getting a discharge for TPD was to avoid garnishments? (not to mention that I can’t afford to pay the loan back due to being on SSI). Any advice for me? Thanks so much! Yeah, this doesn’t sound right. 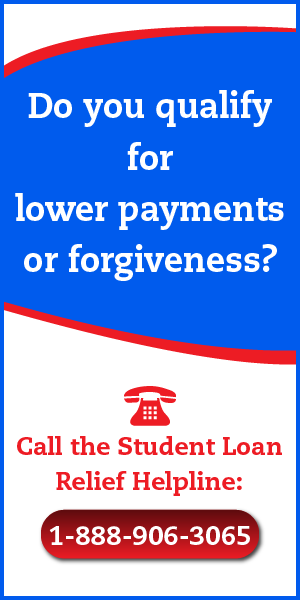 You should contact the Student Loan Ombudsman Group to ask them to help you. This is a Federal Government-backed group of Attorneys who provide free legal assistance to people struggling with student loan-related issues. They will definitely be able to help you! Great article. Very comprehensive. I got a wage garnishment 30 day notice in the mail and i have been negotiating with the loan holder for repayments. I am recently married and they want to include my wife income into their calculations. I do not feel this correct since we file married but separately. I unfortunately cannot find anything that confirms or denies what they claim. Do you have insight into this? Thanks for the kind words! I am not sure, legally speaking, how this will play out, but I think that you should be able to exclude your wife from the calculations as long as you file separately. I would speak with an attorney though, because that may not be the case, and it could obviously make a huge impact on the amount of your garnishment. I tried to ask for false certification because I was falsley certified with no high school diploma. Was dropped from class during first two months . Department of education says they cant find any info on my enrollment but still sticking me with loan!!! I cant find anywhere to go for help besides right back to thier website! This isn’t the sort of thing that they’ll discharge a loan for. You need to come up with a much more compelling argument. False Certification is something like the school lying about the their own certification, for example, saying they were accredited by some group who never said that they actually were. Hi- I want to consolidate my defaulted loans but my wages are already being garnished, I cannot afford the garnishment and I certainly can’t afford to lose my tax return but it doesn’t seem like there is anything I can do to stop this! They are already taking over $600 a month in garnishments so I can’t afford to make additional payments to have the garnishment lifted, What are my options for lifting the garnishment? The few times I have dealt with the collections agency in the past, they were not helpful so I can’t see them being willing to lift the garnishment so I can consolidate even though the defaulted loan would then be paid off. Please Help! I need to stop the garnishment and get out of default ASAP!! Did you read the entire post? There are all sorts of strategies suggested here for trying to get rid of the garnishment. I think your best bet is going to be negotiating a new repayment plan with the collections agency. Even if they haven’t been helpful in the past, if you can find a way to offer them a lump-sum, and a new structure for payments, then you may be able to make it work. Here’s the thing though – right now, they probably feel like they’ve got a good thing going, because they’re getting that $600 a month no matter what. Even if you hit hard times, don’t feel like you can afford it and don’t want to pay it, you’re still paying them the full amount. You’re going to need to convince them that whatever deal you offer is better for them, financially. Which means you may end up having to offer a pretty big lump sum payment up front, but then smaller monthly payments down the line. Talk to them about your plan to consolidate and get back out of default, and see what their thoughts are on that. It’s really going to be your best bet for ending the garnishment. Wish I had a magic bullet option for you, but student loan garnishments are not easy things to get rid of!